Chilean black/death monsters Disembowel are a particularly nasty proposition, with their debut full length ‘Plagues and Ancient Rites’ steeped in the most gruesome and morbid of filth. Released in March through Iron Bonehead Productions, this Lovecraft inspired tome has summoned something rather ghoulish from eldritch depths. After the haunting chants of ‘Innsmouth Evocation’, the ‘Lord of Shadows’ appears with grinding death metal riffing and brutal vocals. ‘Plagues and Ancient Rites’ is a record heavy with traditional death metal power, and it is suffocating under a miasmic fog of otherworldly dread. The driving Grave-isms of ‘IA! IA! 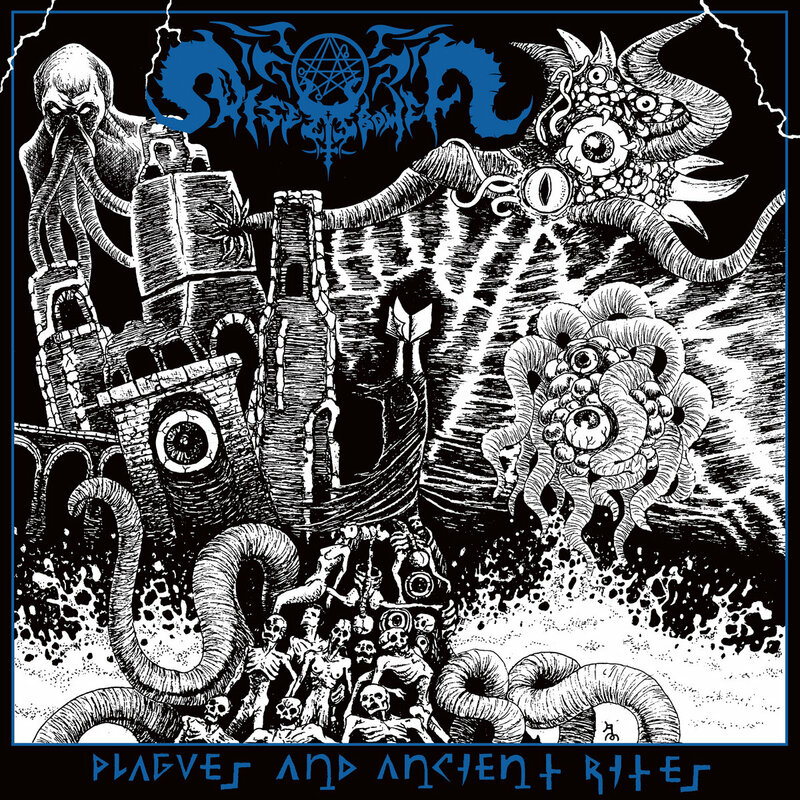 Nyarlathotep!’ is particularly potent, but throughout there is a gnawing, scratching insanity permeating each song. You can feel it in the maddeningly heavy ‘Ancient Cult of Chthulu’, like there’s something scratching at the edge of your reality, begging to get inside and cause chaos. When Disembowel strike your ears, you will be given a lesson in death metal greatness. There’s something breeding deep in the darkest areas of South America, and this is where Disembowel have crawled from. The songs are tight, brutal and shrouded with the kind of ancient mysteries that most bands dream about attaining. High quality stuff, and I look forward to more.